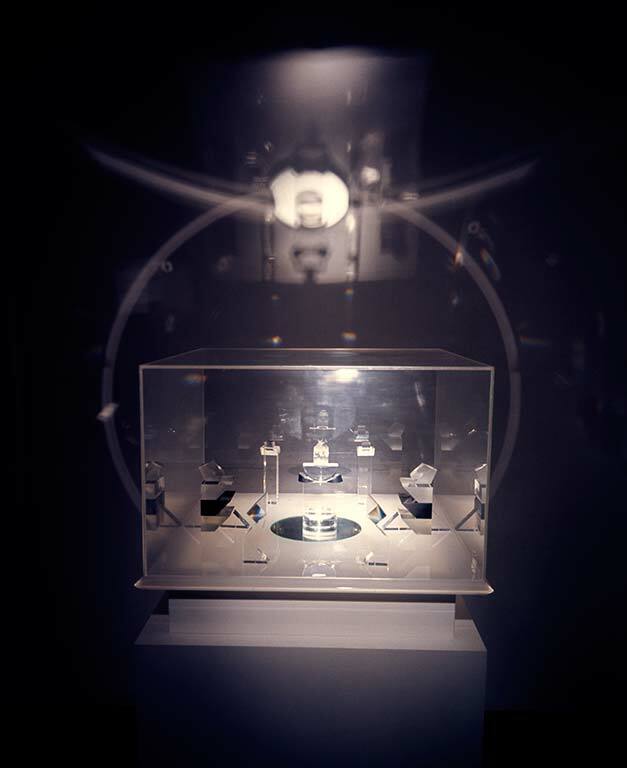 Laminated perspex base with light box underneath, mirror set into centre; perspex and optical glass prism figures. This is a work in a series of sculptures called Rites of Passage. Jetsun Milarepa was a great Tibetan poet saint who lived around 1000 A.D. Lijn read his teaching while living in retreat in Greece in the early 1960’s. His life and words were of great importance to her. Milarepa’s teaching perceives the world as contemporary science does today. He considered all matter as void and understood matter and energy to be interchangeable. This sculpture is a drama celebrating moments of passage between different states of consciousness. 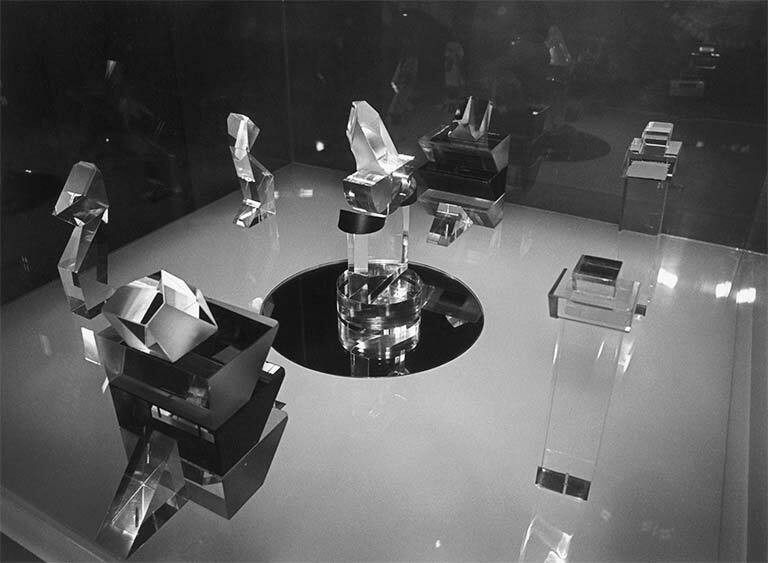 Lijn transformed prisms and lenses from optical equipment such as gun sites and telescopes into figures representing the illuminated thoughts of the great master.